All digital titles are automatically returned on their due dates, so you never have to worry about late fees. If you'd like to return a title early to make space in your library account, use one of the sections below. 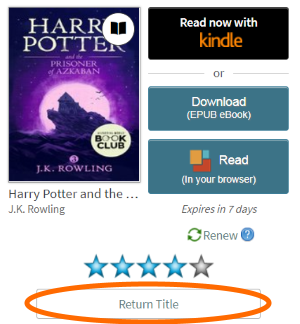 You can't return any titles using OverDrive for Mac. 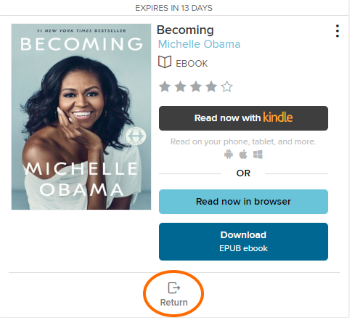 You can't return Open EPUB ebooks from ADE. Select Return beneath the title. You can't return any titles using OverDrive's desktop app for Mac. You can't return Open EPUB ebooks from Adobe Digital Editions. Select Return Title beneath the title.